Moles (melanocytic naevi) are usually benign (harmless) groups of melanocytes; these are the cells that make up the skin pigment, melanin. Moles can be congenital (present from birth) or acquired. The latter mostly develop during early adult life. Inheritance mostly determines how many moles a person gets but other factors such as frequent sun exposure and an impaired immune system can contribute. There are many different kinds of moles. Broadly they are categorised into typical and atypical (dysplastic). 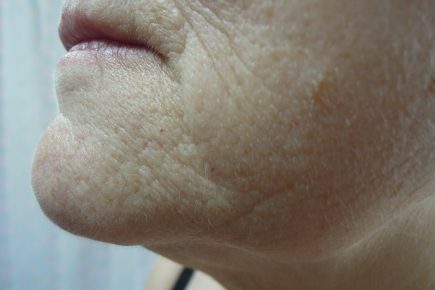 Dysplasia means that a mole has a certain degree of irregularity. 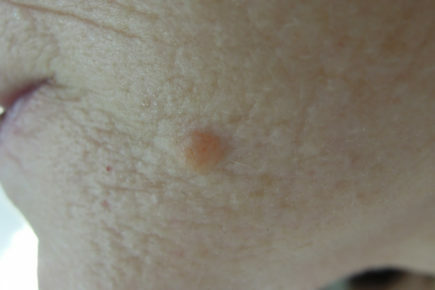 There is a very small risk of a benign mole becoming a melanoma, which is a type of skin cancer. This risk is higher in dysplastic moles. Moles have a typical appearance and can be diagnosed by the naked eye and an instrument called a dermatoscope to inspect a mole more closely. 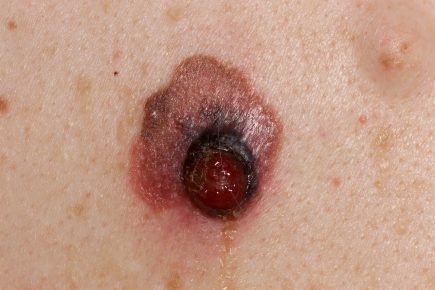 If there is uncertainty regarding the diagnosis, particularly if the mole has some features of a melanoma or dysplasia, it may be removed for examination under a microscope. 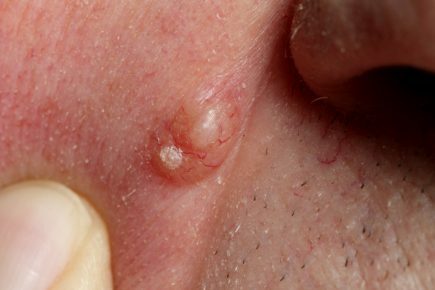 Benign moles can safely be left alone unless they are a cosmetic concern or are located in an area where they are frequently caught and inflamed. Moles that look suspicious of dysplasia or melanoma should be fully removed for diagnostic confirmation in the laboratory.